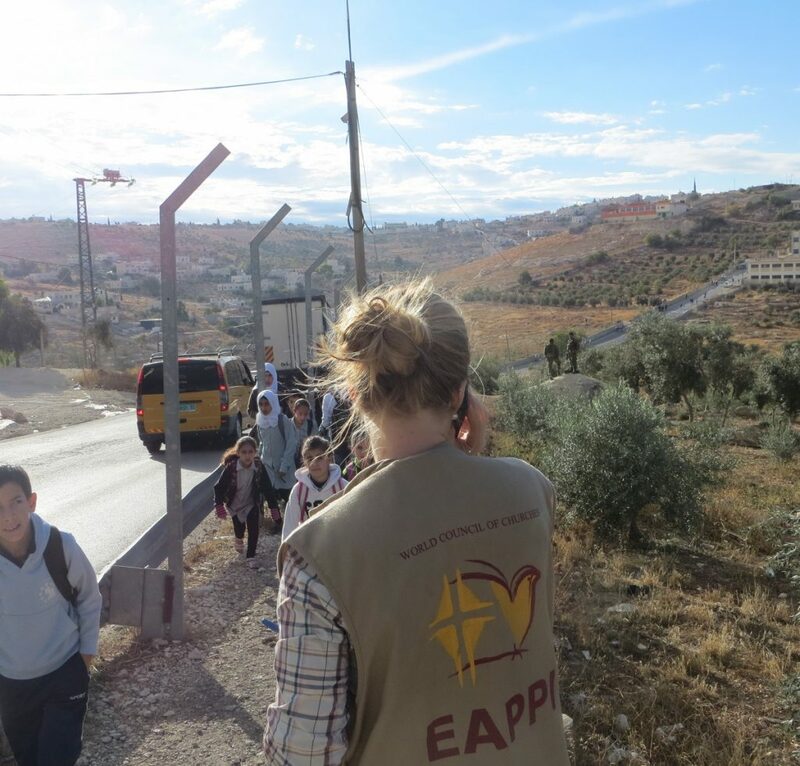 The Ecumenical Accompaniment Programme in Palestine and Israel (EAPPI) is an international programme coordinated by the World Council of Churches globally and by FCA in Finland. In 2015, FCA celebrated its 10th year in the programme, and sent 13 Ecumenical Accompaniers (EAs) to the West Bank. The EAs offer protective presence to vulnerable communities, monitor the local human rights situation, and advocate for a just resolution to the Israeli-Palestinian conflict based on international law. This year, EAs accompanied 3,800 children and 300 teachers to 26 schools across the West Bank. In Finland, EAs spoke publically about their experiences and arranged photo exhibitions, movie screenings and other events that attracted thousands of people.